antman 0.5.0 - antsle - The Private Cloud Server, Built for Developers. Your antman is now hidden behind a secure login form. The default credentials are user root and password antsle. You can change your password, which will also change the password for ssh access. You can now set an autostart feature for individual antlets. That way, they will get started automatically every time your antsle starts up. You can now ssh into your antlets ﻿directly﻿ from your PC, Mac or Linux workstation, without having to ssh into antsle first. Use e.g. “ssh -p 22017 root@myantsle.local” ﻿to﻿ ssh directly into antlet 17. We’re cleaning up the known_hosts entry for you (on the antsle) when you delete an antlet. That way, you can create a new antlet reusing the same IP address without getting annoying ssh error messages. 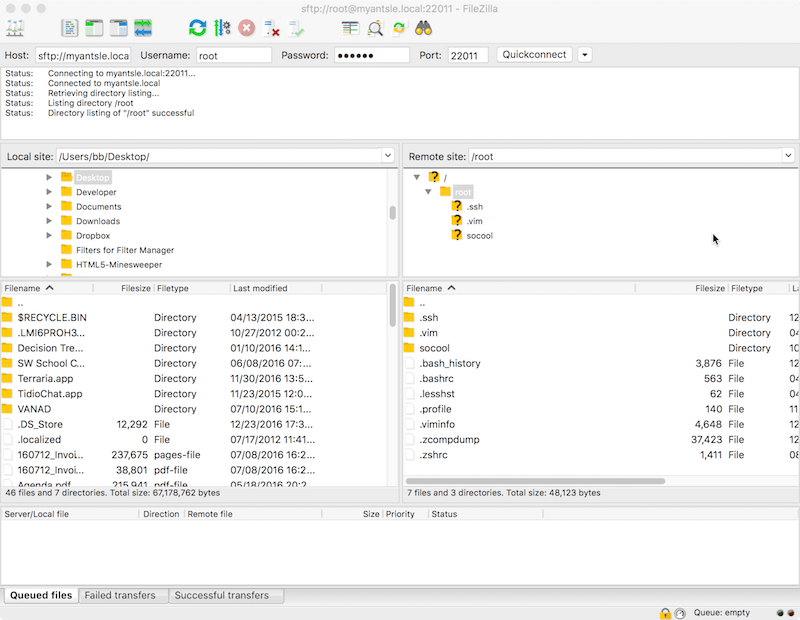 Created an antlet and want to change the RAM assignment later? Or the autostart flag? No problem! Just click on the antlet name and edit its properties. 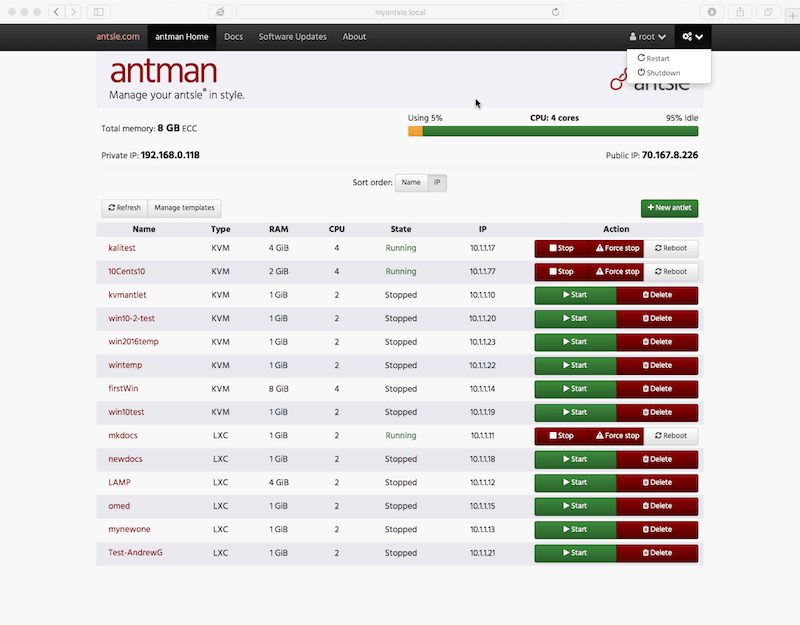 From the new settings menu in the top right corner, you can now shutdown or restart your antsle right from the antman GUI. When you hover over a template in the "Manage Templates" window, you now see the information on when it was created and from what snapshot, if any. Have a stray antlet that won't respond or shutdown? You can now force quit it. Improved error messages, bug fixes.